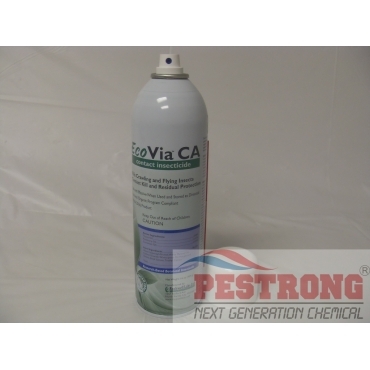 Where to Buy EcoVia CA, EcoVia CA Contact Insecticide - 16 Oz Aerosol Can - $21.95 for Sale with Fast Free Shipping! EcoVia CA Contact Insecticide - 16 Oz Aerosol Can kills crawling and flying Insects with contact kill and residual protection under National Organic Program Compliant. Application: crack and crevice, void, spot and space treatments, and is compatible with popular aerosol delivery systems. Kills fast and stays for a while, nice and simple, and what interests me most is that it is a green product.